The 2018 Ford EcoSport and Toyota RAV4 compete for your attention with their smartphone-savvy convenience features and peppy, fuel-efficient performance. Which of these crossovers is more up your alley? Our comparison guide is here to help you solve this conundrum. 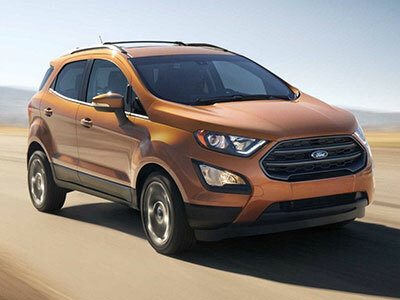 The all-new EcoSport delivers the best daily drive, because its smooth, quiet ride is pure comfort. The mid-level SE model treats you to standard dual-zone climate control and heated front seats, so you and your crew will enjoy optimal temperatures despite the weather. You'll also like the EcoSport seats. They balance comfort with support, so you won't mind staying put for the long haul. In the Toyota RAV4, you'll find tried-and-true front-seat comfort, thanks to the wide cushions and nicely shaped contours. However, wind and road noise are almost always present, which can be less than relaxing on a busy highway. The ride quality can also vary according to trim level. If you're looking for a smooth ride, forgo the SE's sport-tuned suspension for one of the more comfort-tuned models, like the XLE or Limited. All but the EcoSport's base S model offer the Sync 3 infotainment system, which includes a crisp central touchscreen and Ford's Sync voice controls to help you access controls with minimal distraction. Apple CarPlay and Android Auto capabilities take things a bit further, displaying smartphone apps like Phone, Messages, and Music on the touchscreen. With this technology, there's never any need to pick your phone up while driving. In the Toyota RAV4, you'll find the Entune infotainment system and Toyota's own smartphone integration technology. The touchscreen is easy to use, with straightforward menus that you'll figure out in no time. 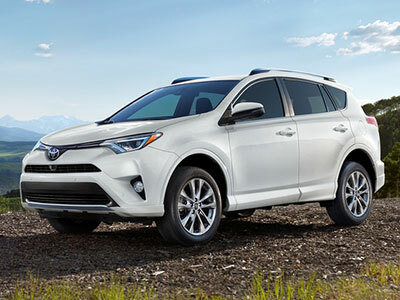 However, to use the smartphone integration features, you must first download an app on your phone, create an account, and pair your phone with the RAV4's central system. Apple CarPlay and Android Auto capabilities, which aren't available for this crossover, are much simpler. They're also more capable, giving you the ability to interact with your phone via Siri or Google Assistant voice controls. In a pinch, we'd pick the Toyota RAV4 for safety technology. This compact crossover offers the full spectrum of advanced safety aids, putting your mind at ease in bad weather or heavy traffic. The forward collision warning system is standard equipment, and it includes automatic braking to mitigate damages. The EcoSport provides limited access to high-tech safety aids. However, you do get the option of a blind-spot monitor, which is extremely helpful when you need to switch lanes in rush-hour highway traffic. A rearview camera is also standard equipment, optimizing visibility as you back out of a tight spot. The 2018 Ford EcoSport's engine options are designed to balance sporty power with moneysaving fuel economy. That means you won't feel shortchanged when you need a little passing power, but you won't overspend at the pump, either. The RAV4 offers a dependable ride. Around turns, you'll feel confident, thanks to the RAV4's confidence-inspiring steering effort. However capable it might feel, this crossover's handling isn't exactly sporty, so competitors are actually more fun to drive. The Toyota RAV4 is high on our list of crossover favorites, but the 2018 Ford EcoSport is our overall first choice. Outside, this all-new compact crossover is the perfect size for parking downtown and maneuvering through busy highways. Inside, it's got plenty of space for your entire crew. Cutting-edge infotainment technology keeps you connected without distracting you from the road.